he GE MSWF Refrigerator Water Filter is a smart choice for GE and GE Profile side-by-side refrigerators manufactured in 2007 and later. 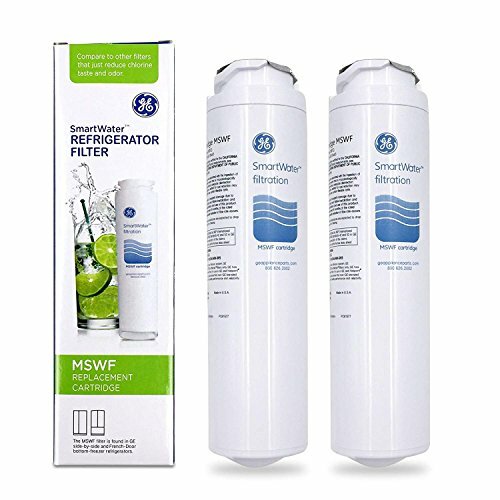 This GE MSWF Refrigerator Filter features contaminant reduction and a six-month filter life, making for easy use. This GE MSWF Water Filter also has a 300 gallon capacity and is NSF certified. This filter also features an automatic shut off for easy installation and has a slim design, which allows for easy removal when it comes time to change the filter. If you have any questions about this product by SmartCaseNow, contact us by completing and submitting the form below. If you are looking for a specif part number, please include it with your message.